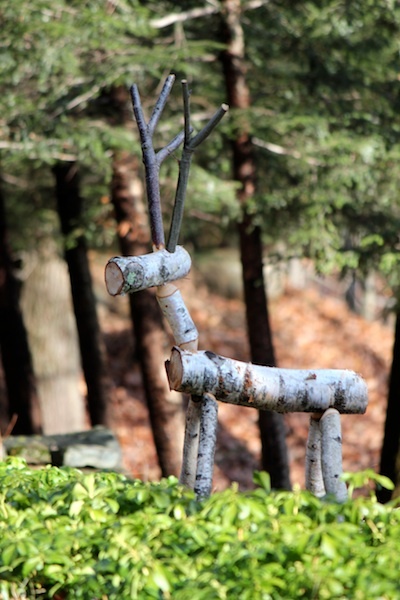 Handcrafted by my 87 year old Dad out of fallen birch trees, this reindeer appeared Christmas Day certainly looking for snow! Instead he found my daughter and grandson who took him for a ride. 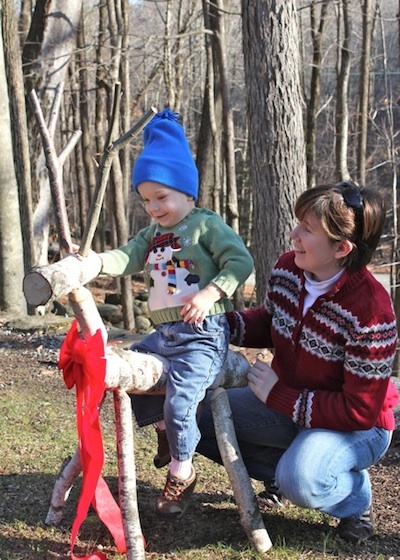 The design is a classic and others have created online tutorials on how to make a log and stick reindeer. Here is a link to one at DIYorNot.com. 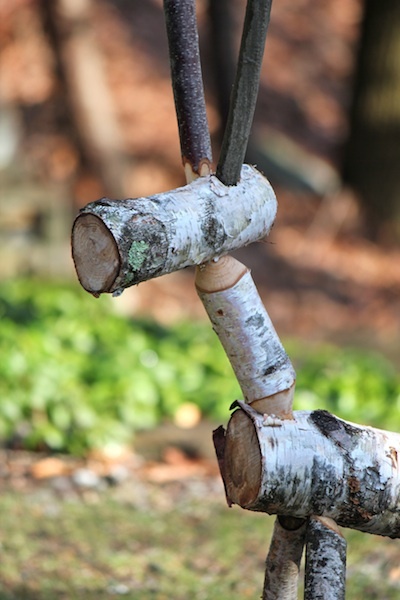 Below is a detail photo showing how my Dad used a tendon maker and shaped the ends of the logs before assembly. 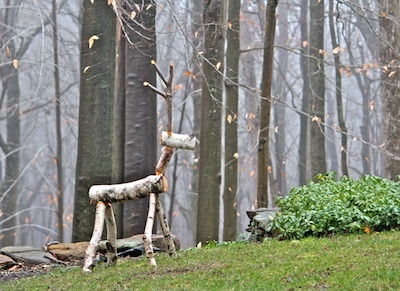 This little reindeer looks right at home on our wooded hillside.